Energy Principal Secretary, Joseph Njoroge, on Tuesday, made a shocking revelation that eight local oil dealers risked being shut down for non-payment of the statutory fees. Appearing before the National Assembly Public Accounts Committee (PAC), Njoroge revealed that the companies had failed to remit their statutory annual training contributions as well as service fees amounting to Ksh754.1 million. “This money should have been collected and sanctions issued against the eight companies for non-payment of the statutory fees,” he claimed. He mentioned three organizations, Lion Petroleum Corporation, A-Z Limited, and Rift Kenya Limited as among those yet to comply with the legal requirement. However, he stated that the ministry was consulting the companies on why they failed to comply. According to reports, there was concern that the ministry deliberately failed to ensure the government got the revenue for projects. 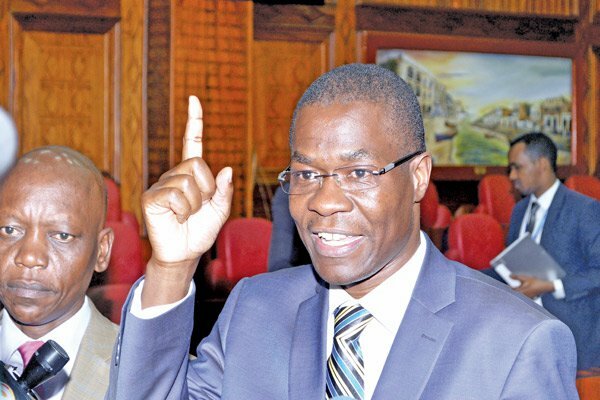 The committee members chaired by Ugunja MP Opiyo Wandayi wondered why there had been delays in the recovery of the money yet the matter was raised by Auditor-General Edward Ouko in his report for the 2015/16 financial year. Njoroge, nonetheless, assured the committee that it had not neglected its duties and was doing everything possible to ensure no loss of public money. “Reminder letters have been sent to the companies [so they can] honour their contribution obligations. However, we are yet to receive their responses,” he explained. The committee members asked him to return on Thursday morning to give further details of companies that had failed to comply with the law. Will Barcelona be forced chose between Messi and their manager?